Malbec & Cabernet Sauvignon: These two wines should be paired with a rich cheese from any category and depending on the blend of wine, its smokiness can be a great advantage for food pairing. The perfect cheeses to accompany these wines should be full fat to fight the tannins. Some smokiness in the cheese will also pair well. 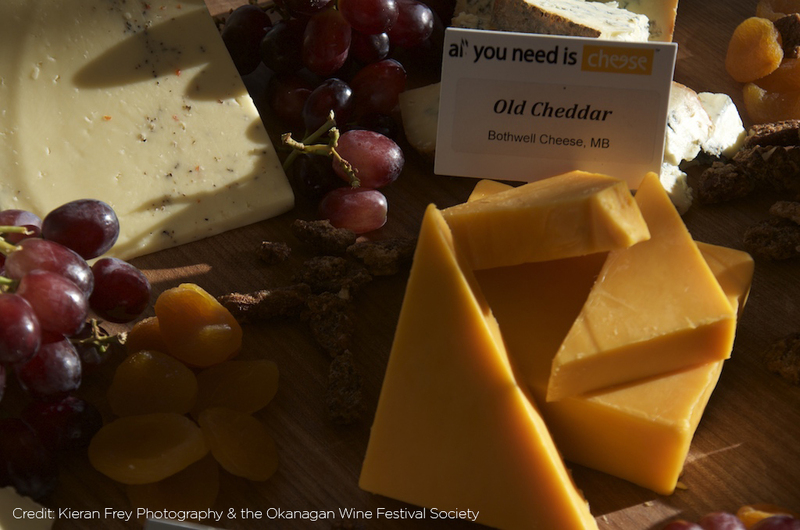 Try Extra Old Cheddar, Maple Smoked Cheddar, Smoked Gouda, aged to extra aged Gouda, clothbound Cheddar, and semi-soft and soft washed rind cheeses. Gamay (with soft tannins): Although the Gamay grape itself has lots of tannins, the resulting Gamay wines are characterized by fairly low tannins. Wines made from Gamay grapes have fresh, fruity flavours like strawberry and raspberry and aromas of pears which go well with Brie, Camembert, Cheddar, Feta, Muenster, Farmers cheese. Tannat: This rustic wine has harsher edges and need to be softened by fat or balanced with stronger cheeses. The cheese varieties you select really depends on the style of Tannat you choose – which vary from dry to sweet. If dry, go with stronger cheeses with a higher fat content such as Double or Triple Cream Camembert or Brie, Borgonzola and Epoisses. If the wine is sweet, then pair with a salty and strong profile cheese like Blue or Parmesan. Fruity Wine: The fruitiness will pair well with the spices and heat found in varieties such as Bothwell Jalapeño Monterey Jack, Jalapeño Muenster, Red Hot Chili Pepper Jack or sweet cheeses such as Gouda and Swiss. Cheese Quantities: When serving cheese as part of a tasting event where it is the star, you will want a substantial amount of product – approximately 250g total per person. More information about calculating quantities for entertaining can be found on the Dairy Farmers of Canada Dairy Goodness website. Note: When hosting a cheese & wine event be sure to start with milder cheeses and lighter wines and move on to stronger cheeses and more full-bodied varietals. Have fun planning the Bridal Shower Sharon and please send (info@bothwellcheese.com) photos to share with our Bothwell fans!! !